In an early effort to drive traffic towards its stand, Telefonica has carpooled with Seat to give the green light to three new innovations in the connected vehicles race. While there are sceptics who would want to curb autonomous vehicles enthusiasm, the duo is racing towards a happy middle-ground with three assisted driving use cases. Firstly, the team will introduce pedestrian detection capabilities, which will allow traffic lights to sense the presence of pedestrians with thermal cameras, before relaying this information onto cars in the nearby area. Display panels will be able to inform the driver of potential risks on the road. Secondly, connected bicycles equipped with a precise geolocation will notify vehicles in the area when the rider decides to turn right. The bikes will be detected by ultra-wideband beacons placed along the road, and should there be a risk of collision, the driver in the car will once again be notified. While both these ideas will be powered by edge-computing, the final usecase will rely on direct communication interface. Should visibility be particularly low, stationary vehicles would detect moving vehicles, emergency lights would be turned on while the driver would, again, be notified on the display board. These usecases might not be on the same level as the glories of autonomous vehicles, but there is a satisfactory amount of realism on display. Autonomous vehicles are not going to be on our roads for a long-time, and while that does not mean we should not continue to fine tune the technology, there has to be a focus on improving road safety today. This is exactly what is being done here. Another similar concept is being developed in MIT. Here, an AI application analyses the way pedestrians are walking to understand whether there might be any risks. This sort of analysis is something we all do subconsciously, but a very useful and important addition to the connected car mix. Using lidar and stereo camera systems, the AI estimates direction and pace, but also takes pose and gait into consideration. Pose and gait not only inform the pace and direction, but also give clues to future intentions. For instance, if someone is glancing over their shoulder, it could be an indication they are about to step into the road. Looking further into the future, when autonomous taxis might be a real thing, this could also be incredibly useful. Of course, the simplest way to hail a taxi in this futuristic age will be through an app, but if the vehicle can see and understand an outstretched arm is a signal for a taxi, it would be a useful skill to incorporate into the AI. All of these ideas are not only relevant for the long-term ambitions of the automotive industry but also very applicable today. Connectivity and AI can be incredibly beneficial for human-operated vehicles, especially with the advancements of edge-computing and leaning on the high bandwidth provided by 5G. Not everything has to be super-futuristic, and it’s nice to see a bit of realism. The bill itself has been bouncing around Washington for some time now, though it has officially been signed into law. Within one year, all government agencies will have to ensure data sets are open and accessible to the general public and businesses, as well as being presented in a format that can be easily processed by a computer without human intervention. The act also hopes to make the data more accessible through smartphones. “The government-wide law will transform the way the government collects, publishes, and uses non-sensitive public information,” said Sarah Joy Hays, Acting Executive Director of the Data Coalition, a public interest group which promotes transparency in government and business. For the digital ecosystem, such a bill should be welcomed with open arms. For any AI application to work effectively it needs to be trained. For years, many have claimed data is the new oil, although we suspect they did not mean in this manner. If the US is to create a leadership position in the developing AI ecosystem, its applications will need to be the best around and therefore will have to have the appropriate data sets to improve performance and accuracy. Open data is of course not a new idea however. Back in September during Broadband World Forum in Berlin, we sat through several entertaining presentations from individual cities laying out their smart city ambitions. There was one common theme throughout the session; open data. These local governments realise the potential of empowering local digital ecosystems through open data, and the initiatives are proving to be successful. This new law will force all federal agencies to make all non-sensitive data public in a machine-readable format and catalogue it online. New individuals must be appointed as Chief Data Officers to oversee the process, and new procedures will be introduced. While it seems incredibly obvious, when proposing new laws or regulations agencies will now have to justify the changes with supporting data. As it stands, only a handful of agencies are required to do this, the FCC is one of them, though this law ensures the validation and justification of new rules through data is rolled out across the board. As with everything to do with data, there are of course privacy concerns. The text of the bill does seem to take this into account, one clause states any data released to the public will have to adhere to the Privacy Act of 1974, though there is bound to be a few blunders. Such a tangent should compound the importance of hiring a Chief Data Officer and a team of individuals who are appropriately trained. We suspect there will be few current employees in the agencies who could ensure compliance here. Of course, this is not a law which will make an immediate impact. With any fundamental changes, such as this, procedures and systems will have to be updated. The procurement process is most likely, or at least we hope, underway and there will certainly be growing pains. That said, if the US wants to make a meaningful dent on the AI world, the right tools and data need to be put in the hands of the right people. This is a step in the right direction. Perhaps we haven’t been giving the right people the podium in the past, but the conversation in Africa has always been focused on the same thing. How do you deliver connectivity to the masses on a continent which has significantly lower ARPU than more developed regions? While this is still a priority, this year’s AfricaCom conference is demonstrating there are bigger ambitions than simply enhancing coverage. Yesterday we heard MTN’s ambitions to create a more agile organization which operates in the OTT space and can be branded as a digital services beast, and this morning’s presentations had a smart city twist. It might seem odd that we’re discussing such advanced ideas when basic connectivity is an issue, but why not? If Africa is going to compete in the digital era these conversations need to happen now, and these individuals need to be given their time in the limelight. The smart city segment in South Africa is an excellent example. Looking at Cape Town, Omeshnee Naidoo, the city’s Director of Information Systems, told the audience the city has a fibre spine 1000km long but the project is still at the starting gate. The infrastructure rollout is set to finish in 2021, while the team has recently signed a memorandum of understanding with Google to provide public wifi. The next step is figuring out how the initiative can now incorporate the citizens. Johannesburg is in a similar position. Lawrence Boya, the smart city Director, said the city also has a fibre spine 1000km long, and currently more than 1500 public wifi spots. The challenge now is optimising the infrastructure and making sure government services are making use of the assets not going down the private route. Boya also highlighted the team are trying to figure out how to take the concept of smart cities down to a personal level for the citizens. In both of these examples, steady progress is being made and the idea of the smart city might not be that far away. More government help is needed, both from a policy side as Boya highlighted South Africa currently lacks the framework to make smart cities sustainable, but also collaboration. Naidoo suggested public sector across the board in South Africa is far too siloed. To be fair to some local governments however, data sets have been opened up to the general public, providing the fuel for these new ideas. It shouldn’t come as a surprise to be honest, but perhaps we are guilty of pigeon holing Africa. Too many people, and admittedly Telecoms.com does this too often, suggest the only challenges in Africa are focused on expanding the connectivity footprint. This is patronising and ignores the excellent work which is happening further up the stack. It’s not the case that these initiatives are difficult to find, but maybe we need to give them more airtime instead of taking the easy ‘Africa needs to improve connectivity’ angle. The format was an interesting one. Four smart cities were given seven minutes to explain their proposition, and then three minutes to answer questions. Featured were Milan, Athens, Helsinki and Amsterdam, though thanks to your correspondent getting lost on the show floor, the Amsterdam pitch was missed and will not get the attention it deserves. That said, the common theme throughout was open data. Starting in Milan, data is being used to create a hub of intrigue for start-ups. There isn’t necessarily a focus on segment or vertical, more a top-line ambition to create jobs and value for the economy. As part of the initiative, more than 300 data sets have been made available for citizens and businesses to create new applications and services. Looking at the numbers, the scheme should be deemed a success. There are currently 1600 start-ups based in the city, out of the total of roughly 8000 across the whole of Italy. 10,000 people are directly employed (or own) start-ups, 80% of which survive the first two years of operation, the most dangerous time for any business. These are certainly promising numbers. In Helsinki the message is the same. The Mayor has an ambition to create the world’s ‘most functional city’ through digital, with tourism a key factor. Part of this story is opening data up to the community and local businesses to create value. Finally, over in Athens, open data has been used in a different way. Thanks to financial difficulties in Greece, governments are not trusted. This makes it incredibly difficult to launch new schemes, though by opening up data to the general public and businesses, Konstantinos Champidis, the Chief Digital Officer for Athens, said the team are regaining credibility. The aim here is not only to try and help those citizens create something new, but develop a culture of transparency to regain the trust. 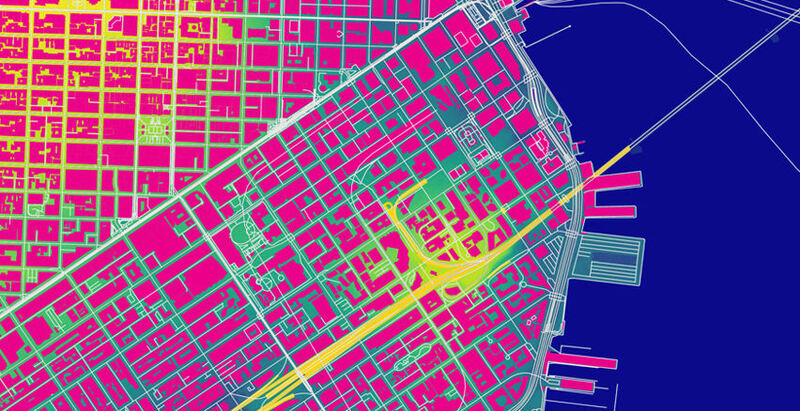 Trust is a key element in these smart cities strategies, as while open data does fuel innovation, the data has to be sourced in the first place. Should citizens not be open to having information about them or their activities collecting and analysed, the whole concept of the data economy runs dry. We’re sure the presentation from the city of Amsterdam was equally as interesting as the three we saw, but the theme was plainly clear here; open data is a critical component of the smart cities mix. This is a concept the National Infrastructure Commission has understood, and looked to address. The national Roads for the Future competition looks to address these very problems with a £50,000 prize fund to fuel new ideas. It might not be an astronomical figure, but the lessons learned will certainly be useful. And the winners are… City Science based in Exeter and the Leeds City Council. In Exeter, City Science will examine how sections of roads in urban areas could initially be dedicated to driverless vehicles, as a key step in kick-starting their take-up and integrating them safely into the existing transport network. Over in Leeds, the council will investigate how the data generated from digitally connected cars could be used to improve traffic light sequencing, allowing highway authorities to better manage traffic on their roads and reduce tailbacks. The other short-listed entries were how CAVs can be best deployed to beat congestion and improve the air quality (entry from Immense), Arup’s entry assessed the future management of the side of the road through the introduction of flexible kerb space, while Aecom’s idea was to investigate how technology can enable traffic lights to ‘talk’ to vehicles. Back in January, the National Infrastructure Commission, alongside Highways England and Innovate UK, launched the Roads for the Future competition received 81 entries with ideas for how the UK’s road network could be adapted to maximise the potential benefits these new vehicles could bring. These ideas could have investigated any aspect of the segment such as new travel opportunities, freeing up time focused on driving, and helping to improve safety. The competition itself followed the release the first-ever National Infrastructure Assessment, a report recommendations for how the identified infrastructure needs to be altered or adapted for autonomous vehicles. Some of these recommendations included that the Government devise a National Broadband Plan by Spring 2019, to deliver full fibre connections across the whole of the country, including those in rural areas. Technology is obviously critical for the development and adoption of autonomous vehicles, as is the 4G/5G infrastructure, but it is nice to see the roads are being considered as well. It’s a story which we have heard before, though the telcos run the risk of missing out on a future craze of the digital economy by doing very little. Although it might seem a long-way off, there will certainly be an opportunity to make money in the smart city segment, as well as a chance to banish the dreaded utility tag. “Smart cities is a huge and complex market, where a traditional vertical focus is now co-existing with a cross-vertical trend that is gaining momentum,” said Pablo Tomasi of ABI Research. “The size of the market, with all its different sub-verticals, means that MSPs [Mobile Service Providers] can target and assume various roles from system integrators to platform providers. As Tomasi points out, there is a lot of work which can be done pre-5G to lay the foundations for monetization in the smart city era. There are a couple of companies preparing themselves, Verizon has a smart city strategy focused on M&A after purchasing Sensity System and LQD, while Deutsche Telekom is leveraging aggressive NB-IoT deployments, but the industry on the whole looks sluggish. In waiting for the 5G catalyst the boat might have already been missed. Of course this is not the first time we have heard this tale. Through inactivity and a lack of foresight, cash cow revenues of SMS and voice were destroyed by the OTTs, who also managed to take ownership of the video segment. The smart home is another which is increasingly looking like a lost opportunity as the focal point of the ecosystem shifts to the smart speaker not the router. Even the connected car is under threat as Google carves out partnerships to launch Android as the OS for a number of different automotive manufacturers. In each of these examples, ownership of the ecosystem has been shifted elsewhere with the telcos slipping down the value chain. The risk is present again with smart cities and it might not be too long before telcos are simply known as connectivity utilities, offering few value-added services to the customer. While there is still money to be made from being a utility, the focus is shifted towards operational efficiency as opposed to aggressive rollout of value-add services, the risk is with regulation. Should telcos be branded utilities they will fall under the heavy hand of government regulations. There might be benefits in terms of land access and pricing protections, but the telcos are determined to remain at arms-length from the flurry of red-tape and zombie-like civil servants. As Tomasi said, there is still time to reverse these doomsday predictions, though the signs are not exactly favourable. The telcos are traditionally incredibly risk-adverse organizations which simply won’t work in the cut-throat digital economy. Companies have to be willing to adopt the fail-fast business model, which occasionally means making a bet on a segment which might not work out. Google partnering with automotive manufacturers with its Android OS is an excellent example. It might get disrupted, it might become irrelevant, or it might now have a foot through a very profitably door. If you don’t buy a ticket, you’re never going to win the lottery. Telecoms.com periodically invites expert third parties to share their views on the industry’s most pressing issues. In this piece freelance Journalist Charlie Osborne explores the role of edge computing in enabling the smart city. Mobility has paved the way for the rapid adoption of the Internet of Things (IoT) and connected devices worldwide. At the core of IoT and edge computing technologies is mobile networking, which has given rise to Big data, analytics, and cloud computing taking over what was once on-premise and dumb enterprise systems and networks, ranging from security solutions to customer assistance platforms. As 5G networking looms on the horizon, telecommunications firms are poised to take advantage of what IoT and edge computing can offer. Data demands and the thirst for spectrum have forced a rapid re-think in how telecoms firms manage their resources, prompting a shift towards cloud-driven architectures. Any technology which can lessen the burden of data consumption is worthy of note, and edge computing has the potential to drastically reduce the transfer and management costs of data. Edge and Fog computing both bring data analysis and collection closer to the source, giving companies the option to reduce the bandwidth required to manage information, as well as reduce latency. Mobile operators can choose to store content which demands high bandwidth at network peripheral nodes, rather than force transfers to core systems at the heart of a network. In turn, this can reduce the workload of mobile networks. Fog computing is poised to become a necessary element of future mobile networks, which will not only be faced with the challenge of catering for data-hungry consumers but will also need to support the ever-growing array of IoT devices and deployments in our cities through networks such as mobile LPWA, NB-IoT, and LTE-M. Local data storage and analysis provided by edge computing has a vast array of applications in the smart city arena, in which telecoms and mobile operators can benefit from. Cities worldwide are expected to house an additional 2.5 billion new residents by 2050 and as populations grow, smarter solutions are required for sustainable urban living. Research suggests that the smart city market will be worth $2.4 trillion in 2025 but the core of this growth is dependent upon telecoms firms providing the support required for smart city IoT deployments through the adoption of fog and edge computing. Smart city use cases: Transport: Intelligent transport systems, ranging from smarter traffic lights to autonomous vehicles, have a place in smart cities. Not only can IoT provide a way to improve traffic flows, but intelligent systems can improve road safety and reduce pollution levels. Vehicle-to-vehicle (V2V) communications, IoT sensors, GPS platforms, and RFID technologies all produce data and require rapid analysis to be fed back to connected devices in real-time. Fog computing and IoT, supported by mobile networks, provides the backbone to manage this information while reducing the risk of bottlenecks. In turn, telcos have the opportunity to secure fresh revenue streams in the automotive industry, an area of business once completely separate. Smart energy grids: In order to replace aging water, gas, and electricity meters with more intelligent alternatives, smart cities require networks able to cater to low-power sensors spread over a vast area. Fog computing can act as a bridge between smart grids and cloud platforms for the purpose of collecting, computing and storing smart meter data before transmitting them to the cloud, improving the privacy and security of such sensitive data across a range of geographical locations. LoRa networks, which are able to support massive IoT deployments, are currently being rolled out to support smart energy grids and platforms by a number of telecommunications providers and ISPs. Resident services: The concept of the smart city also includes ways to improve the lives of residents. These can include sensors for monitoring the environment, local services applications, and intelligent services for caring for the elderly or those with medical conditions. As fog computing is able to cater for data processing across a variety of nodes in different areas in a secure fashion, this kind of architecture should be a top choice to support resident services, specially when sensitive data is involved. Many of these services focus on mobile devices as a point of entry, which, in turn, can be harnessed by telcos to create fresh revenue streams. As our thirst for bandwidth deepens and our cities become smarter, mobile operators must have the capacity and infrastructure in place to support us. When our roads become managed through IoT and AI, bottlenecks can have a severe impact on safety & emergency services, and critical utilities cannot be interrupted, lest cities face the economic consequences. As a result, telecoms firms will be held to a high standard in terms of speed and reliability. However, the smart city will also provide a wealth of opportunities for mobile operators to turn a profit. Charlie Osborne is a professional journalist based in London, UK. She is a freelance editor, educational material creator and contributes to IoT World News as a feature writer with a focus on consumer technology, innovation, smart technology, mobility, edtech, and security. Edge Computing Congress returns to the German capital. Meet the entire edge ecosystem and discover how cloud computing, 5G and IoT connected services can provide seamless connections at the network edge. Telecoms.com periodically invites third parties to share their views on the industry’s most pressing issues. In this piece Ryan Hamilton, Geodata Product Manager, DigitalGlobe looks at the role geodata will play in IoT. The world just became that little bit smaller as we strive for faster and more efficient connectivity. If you don’t already have some form of connected tech, then I guarantee you that some clever marketing person is working on some campaign to getting you signed up. Technology is an enabler, and like most things our need to be connected on-demand is fueling the growth of both solutions being offered and the technology required to service this capability. Televisions, smart phones, wearable tech, cloud, broadband, transportation, communication, VR, AR; the list goes on, with these developments impacting the way we live our lives in new and increasing ways. The use and adoption of the internet and social media in the past decade produced an enormous shift in the way people communicate both with each other, their environment, and the rest of the world. Speed, convenience, and efficiencies continue to drive the adoption of new services with “IOT fast” becoming the new buzz word as the worlds of communication and connected devices merge. But as with everything that is connected, the infrastructure behind the technology needs to adapt to both advancements in capability and the environments it intends on servicing. Our planet is dynamic; the environment, people, culture and adoption to change varies depending on both controllable and natural evolution. One way to understand, plan for, and predict this change is through the use of geodata. Geodata enables us to better understand any given location in the world, and when combined with attributes ranging from elevation, social demographic, objects on the ground and historical data, we can not only identify change, but understand it. Fueled by consumer demand for mobile broadband, new IoT devices, and evolving data service technologies, RF engineers are under pressure to optimize networks for 5G rollouts while maintaining service. Considering the challenges of small cell networks (e.g., high frequency spectrum vulnerabilities) and perpetual population density growth, engineers need a more efficient, accurate way to plan. Having this information enables technology to be better deployed to service the changing requirements of this planet, its people and other stakeholders across the value chain. 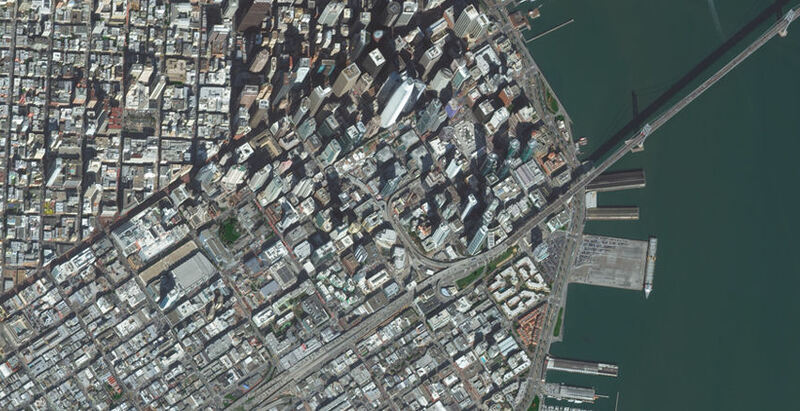 Satellite image of San Francisco, California, captured by DigitalGlobe’s WorldView-3 on February 8, 2018, compared to high-resolution clutter data of the same area. Learn more about why up-to-date geodata will be critical to IoT, and rollouts of 5G technology by meeting DigitalGlobe at 5G World 2018. Telecoms.com periodically invites third parties to share their views on the industry’s most pressing issues. 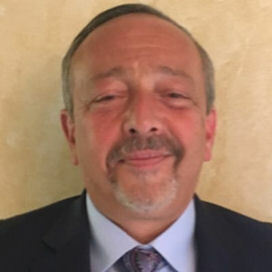 In this piece Jeff Singman, VP, Product Kandy Business Solutions at Ribbon Communications, looks at the growth of the Smart Cities industry and what should be done to get the best out of it. The growth of smart cities is unstoppable. So much so that international analyst house IDC, recently predicted spending on the technologies that power smart cities will reach $80 billion in 2018. At Mobile World Congress (MWC) in Barcelona this year, talk of smart cities was in full swing with the show going above and beyond to demonstrate the full capabilities possible with the right infrastructure and technology in place. Sensors, for example, were everywhere at the show and they are everywhere in our cities, and their benefits are becoming more obvious with every implementation, whether it’s controlling street lighting, orchestrating traffic signals, or making it easier to find an open parking spot. These sensors and their related IoT systems are reducing energy consumption, measuring the safety and availability of drinking water, even alerting waste management teams to empty trash bins more efficiently. Cameras are making big cities safer, with algorithms and analytics integrated to alert authorities when a backpack is left on a busy street corner or streaming live video of transportation hubs and capturing criminal activity. But despite this technological transition, the smart city evolution is still going to be run by human beings. The smartest cities in this sense are those which are connecting public servants with advanced real-time communications platforms that make interactions more productive and efficient. Consider the power of a law enforcement communications platform that integrates data in smart cities with first responder workflow, as one example. Expensive, complex and limited traditional “command and control” systems are being replaced with cloud communications and Communications as a Service (CaaS) approaches, which go beyond radio communications to full mobile, high definition voice, messaging and video collaboration. With programmable networks and fully secured end-points and devices, municipal agencies can operate more efficiently and get better outcomes. This is particularly noticeable when those private real-time communications networks and applications improve cooperation between multiple appropriate departments (police, fire, water rescue, ambulance, emergency rooms, schools, etc.) and with county-wide, state-wide and national agencies. The result? Better prevention, more readiness and preparedness in the face of both natural and unnatural disasters, and generally a faster response when communities face their hardest days. Beyond those dramatic moments, cloud communications solutions are reducing the cost and complexity of supporting tens and often hundreds of thousands of public workers serving in city hall, the courts, libraries, schools, and more. For example, Ribbon has been working with one of the largest and most vibrant, advanced cities in the world to transform their legacy communications systems (20-year-old telephony networks) into highly resilient, secure and more flexible platforms supporting employees in the pursuit of getting work done and serving taxpayers more creatively. For more cities to achieve this level of technological sophistication, however, private organizations must work hand in hand with public sector IT teams on implementation. In the above example, this large city was able to bring in software-defined communications services to agencies across the entire city’s domain. Not only did this deliver mobile experiences for public servants on the go, making “customer service” more intuitive and intelligent, it did so while saving millions of dollars. In this instance, those cost savings are being reinvested in the expansion of digital communications programs into more departments, while tying more of the behavioral data together, which will contribute towards helping teams become even more productive and effective in the community. This success can be replicated, but it takes time. At MWC this year, the technology partnership behind the Olympic Games in 2020 announced that they aim to transform the host city, Tokyo, into a 5G smart city. Considering that almost eight million tickets were sold for the Rio Olympics, it’s clear that Tokyo will have to facilitate not only the infrastructure to power this city – another concern noted at MWC – but that these systems will also need to work seamlessly to connect a huge number of people with each other and with their surroundings. That’s a huge challenge and it will be interesting to see what path they select to enable these critical connections. The growth of smart cities is unstoppable. Soon cities and towns will be able to sense the world around them and communicate more immediately with images, videos, and voice, the ultimate real time tool. But a smart city cannot be limited to connecting things. It must also become smart through connecting people and connecting people with things. All of this must take place in real-time, all the time, and as a foundation for more innovation to come as digital communities and community service become the norm. Jeff Singman has been the VP, Product Kandy Business Solutions since January 2016. A serial entrepreneur, he previously founded Vizicom to bring end-to-end next generation, real time communications products and services to businesses after having worked for and served many Fortune 500 companies in the areas of media, software, technology, web, mobile and e-commerce. Jeff is expert at connecting people and ideas with the resources, processes and ecosystems that accelerate success as change itself accelerates. His experience includes IT, security, telecom and software, with depth in industries including media, entertainment, financial, and healthcare verticals.